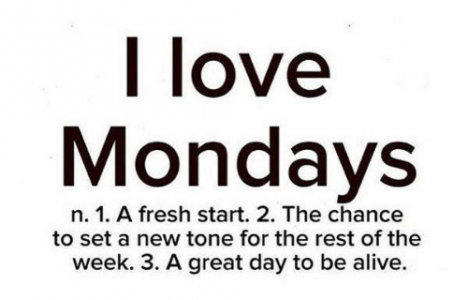 Happy Monday and a TGIM to you today! The weather this past week has been crazy right? How do you get your steps or exercise in if it is too cold to go outside? I was searching for love this past week and I definitely found it. I found it in a lot of random connections I made in the world on Friday and on Sunday at the 3M Marathon where my friends and family supported me in this 13.1 mile run. Thanks for helping me see this! Today is another amazing day to be alive. Today I will show up to life and experience all that it has to offer. Today I will declare that I am a Champion! I am a Champion! You are a Champion! Believe in yourself. Believe that you can do anything you put your mind to. Believe it in your mind and commit it to yourself and you will achieve it. Let’s do this day with joy! Let’s be the change in the world we wish to see! Let’s love others and ourselves and see how far the rabbit hole goes! Keep on making positive changes and small baby steps. Next Post TGIM! 1-29-2018! Boom!